Quite often we dine with friends on Friday evening. It's a potluck affair with people volunteering to bring an appetizer, a side dish, or dessert. One Friday we had tacos and so one friend stopped at Los Tamales, a Mexican restaurant at East 72nd. She purchased tamales on her way home from work. I love cornbread, grits, polenta, pupusas, and tamales. 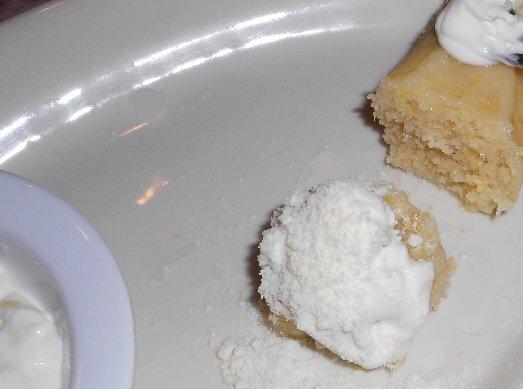 I used to have a group of women friends who got together each Wednesday afternoon and made tamales as they are cooked in different Middle and South American countries. My friends shared their creations with me. I never met a tamal I didn't like. 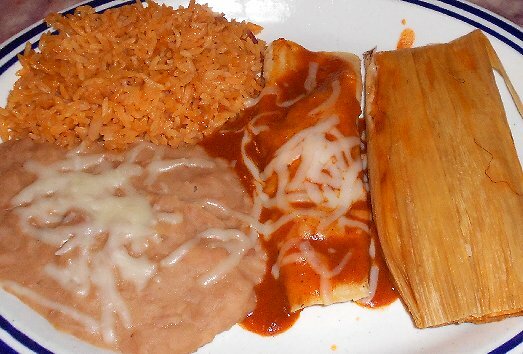 Finding ourselves on the way to the southern end of Tacoma Peg and I stopped in at Los Tamales for dinner. Peg had fried rice and a chicken tamal. I had bean dip, fried rice, beans and cheese, an enchilada, and a pork tamal for dinner. Normally, I would have loaded up my plate with salsa, but the multiple dips available at the restaurant are great for adding zest to a dish, but are too hot for lots of salsa - for me. Tamales are a little dry without the salsa, but Peg had the solution. She asked for more enchilada sauce. That sauce with a little of this salsa and a little of that salsa made our dinner perfect. The salsa station has a dozen bins with sliced peppers, onions, and various salsas and dips as condiments. 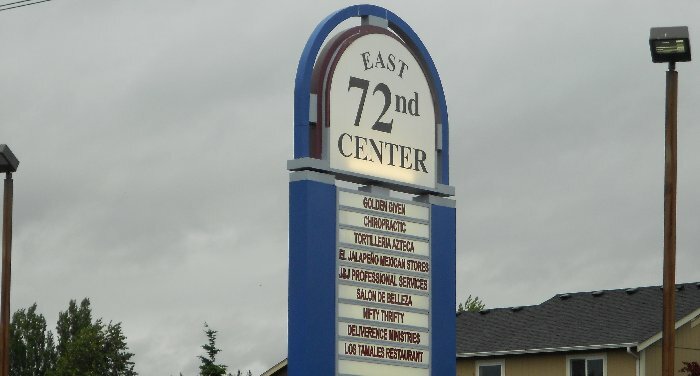 The East 72nd Center has a number of businesses in it. Some are Mexican related, some not. We weren't sure where Los Tamales was. We only had a basic idea. We turned into the center because it seemed right. We lucked out. The sweet corn tamale by itself isn't enough to be dinner for me, but two might be! Just like the first time I had their tamales, I really liked the sweet corn tamal. The waitress told me how she liked to prepare her sweet corn. I added my variation. 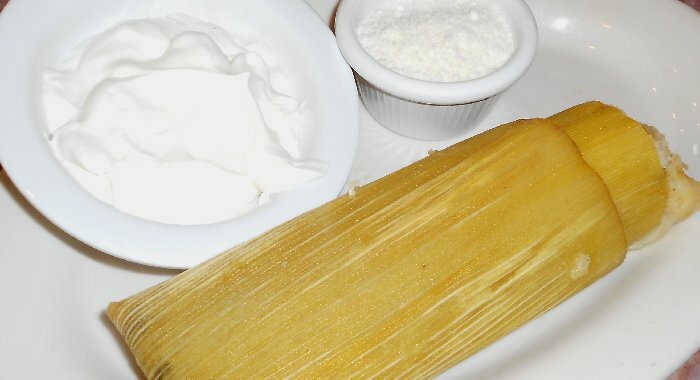 I would take a forkful of the sweet corn tamal and squeeze lime juice over it, then daub crema on it before sprinkling dried and shredded cheese over it. Then the forkful went into my mouth. Whoa. It was so good. If I could I would sneak a couple of containers of the Taco Time salsa into Los Tamales and then spike it with one of the many salsas and dips from Los Tamales. The restaurant dining room is much larger than it appears on the outside. I think the restaurant, the grocery store and the tortilla ria next door are all related, which makes a nice little family complex. When we first entered the restaurant there was one man eating alone. After us came another man and then two young women came in together right before we left. I don't think was the first time for anyone, but us. This was drive time, not dinner time. Constant traffic of locals through the front door is always a sign of good food. 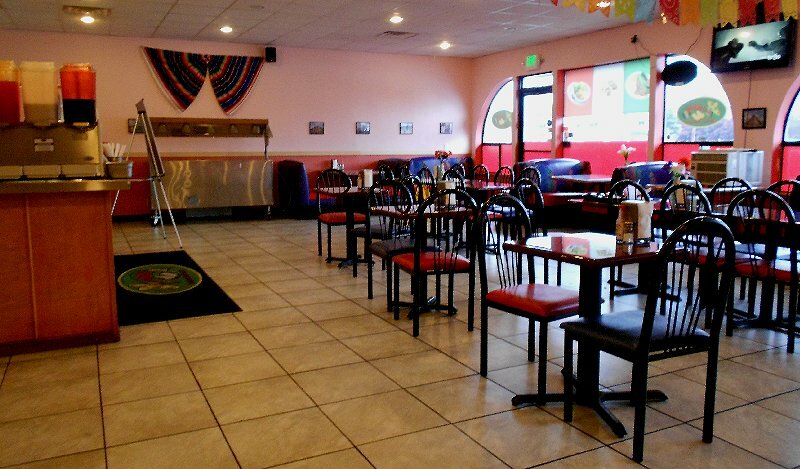 Los Tamales Restaurant Review - 2017 - Tacoma, Los Tamales Restaurant Review, Los Tamales Restaurant Review Tacoma, Mexican Restaurant Review Tacoma, Los Tamales Restaurant Review - 2017 - Tacoma Washington WA.